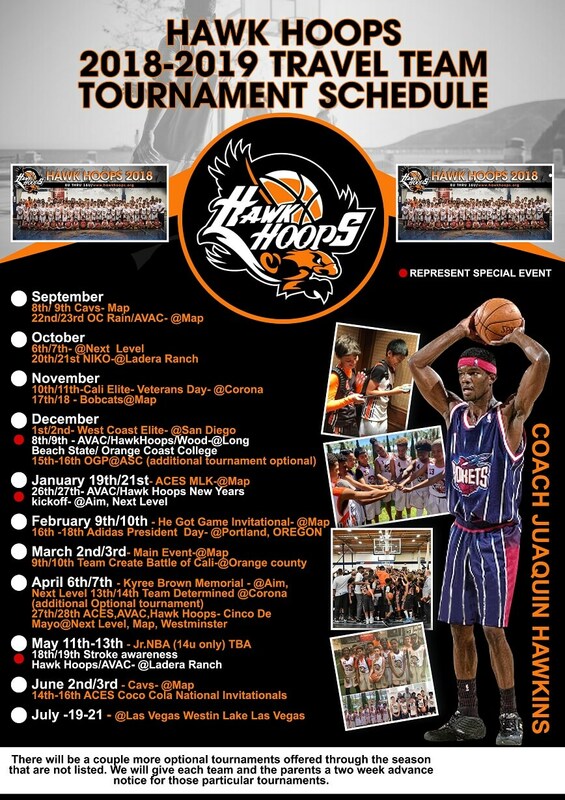 September 30th -October 1 tournament “The Take Over” hosted by Team team Nikos, located at Ladera Ranch. It was exciting to see all of our Hawk Hoops teams compete and play with such determination during “The Take Over” tournament hosted by Team Nikos. With 12 Hawk Hoops teams entering the tournament we where fortunate to have nine teams making it to the championship game which is a new program record. Five of those teams actually won the championship title and more importantly all players and teams produce in some way. Special thanks to our Hawk Hoops coaches and parents for their support. Congrats to our Hawk Hoops tournament MVP’s for their hard work and productivity in their last tournament. These particular players were very instrumental in their team advancing and getting to the championship game. Great commitment to their team and our program. Good work fellas! Introducing our MVP award recipients. Joshua Agbo is a 8 years old with great size and strength. He has great work ethic and is able to shoot and attack the basket. He will definitely only get better in time and it’s a pleasure to see his progress. 10u white Jonah Kim, is a new comer with great court awareness and with good skills as a 10 year old. Great attitude and willingness to learn. 11u white Morgan Marks, a pleasant surprise not only for his team but our entire program. Good quickness, speed, can shot the 3 ball, play good defense, hustle and he fits in perfectly with our style of play. 12u grey Mason Meyers is known for his relentless hustle and determination. His strength is rebounding and has some success this particular tournament with dribbling and scoring. 12u black D Wempe, has improved so much over the last year. Known as a defender he has now added 3 point shooting, ball handling and just being a leader by example to his game. 12u white Mister Burnside, has made a immediately impact on his team. With his great size and natural athletic abilities makes him one of the toughest 12u players in our program. He can shoot the 3 ball, rebound with consistency and attack the basket at any time. 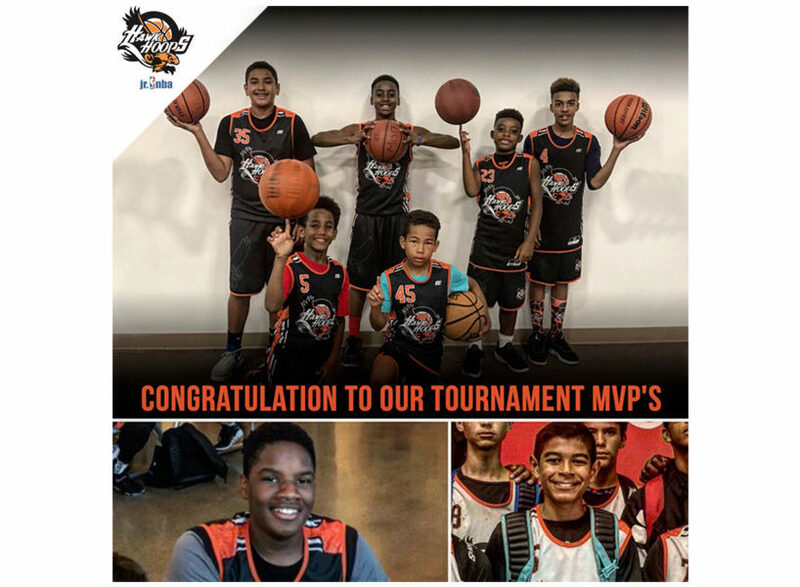 13u white Jathan Lopez, has become one of most valuable pieces of his team. He has a great attitude and just works hard to help his team in anyway he can. He is a big guy that is good in the inside and he can shoot from the outside. 14u orange Jeremiah Williams had his career high 25 points and 13 points in helping his team reach the championship. He seemed to have double digits in points and rebounds the entire weekend. 14u black Aidan Stewart is probably the most improved player in the our entire program. He is a all around player that is known to knock down the open jumper, get key steals on defense and just make the right play to help his team have some success. Tweet Pin ItSeptember 30th -October 1 tournament "The Take Over" hosted by Team team Nikos, located at Ladera Ranch. It was exciting to see all of our Hawk Hoops teams compete and play with such determination during "The Take Over" tournament hosted by Team Nikos. With 12 Hawk Hoops teams entering the tournament we where fortunate to have nine teams making it to the championship game which is a new program record. Five of those teams actually won the championship title and more importantly all players and teams produce in some way. Special thanks to our Hawk Hoops coaches and parents for their support. Congrats to our Hawk Hoops tournament MVP's for their hard work and productivity in their last tournament. These particular players were very instrumental in their team advancing and getting to the championship game. Great commitment to their team and our program. Good work fellas! Introducing our MVP award recipients. Joshua Agbo is a 8 years old with great size and strength. He has great work ethic and is able to shoot and attack the basket. He will definitely only get better in time and it's a pleasure to see his progress. 12u grey Mason Meyers is known for his relentless hustle and determination. His strength is rebounding and has some success this particular tournament with dribbling and scoring. 12u black D Wempe, has improved so much over the last year. Known as a defender he has now added 3 point shooting, ball handling and just being a leader by example to his game. 12u white Mister Burnside, has made a immediately impact on his team. With his great size and natural athletic abilities makes him one of the toughest 12u players in our program. He can shoot the 3 ball, rebound with consistency and attack the basket at any time. 14u orange Jeremiah Williams had his career high 25 points and 13 points in helping his team reach the championship. He seemed to have double digits in points and rebounds the entire weekend. 14u black Aidan Stewart is probably the most improved player in the our entire program. He is a all around player that is known to knock down the open jumper, get key steals on defense and just make the right play to help his team have some success. Congratulations to all players!